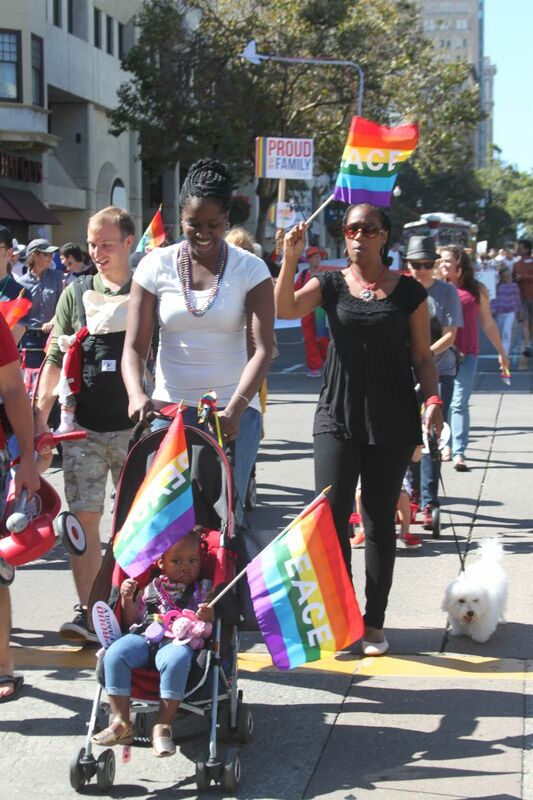 Parade: In lieu of Dykes on Bikes, the Oakland Pride Parade will kick off with Tykes on Trikes! That's right - Our Family Coalition's contingent is leading the parade. Please bring tricycles, scooters, wagons, strollers, and whatever you need for the six-block, .4-mile-long parade route. You can tote your own home-made sign or wave one of our "Proud of My Family" fans or signs. There is free first-come first-served ADA access to the grandstands at Broadway & Telegraph for viewing the parade. The Oakland Pride Parade is an experience not to be missed! The Family & Children's Garden (open 11am - 4pm) is located at Franklin and 21st Street, in the Kaiser Permanente parking lot. We'll have arts & crafts, bounce houses, a petting zoo and pony rides, story time, theme park rides, contests, a photo booth to capture the memories, and more! If you need some down time during all that bustle, our Family Oasis is the perfect calm and shady spot. The Family and Children's Garden is free; however, it is located within the Oakland Pride Festival, which costs $10 for adults, and $5 for children under 12. Our Family Coalition does not want anyone to miss out on Oakland Pride due to lack of funds. We have a limited number of free festival tickets available. Please e-mail nadi@ourfamily.org to request free tickets (after August 10th). Register online to skip the registration form on the way in! It is highly recommended that you take public transit if possible. We strive to make our programs accessible to all families. Please contact nadi@ourfamily.org or call 415-981-1960 for accommodations that would help your family participate to the fullest. Advance notice required for some accommodations. 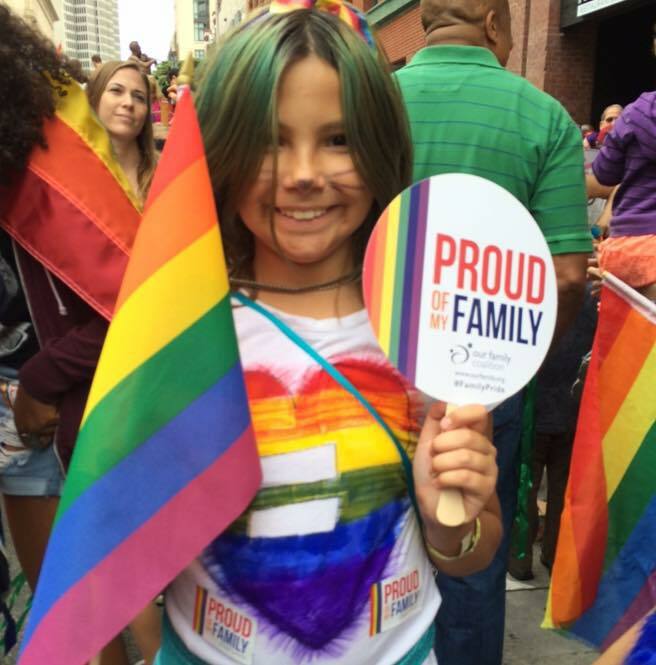 Help us build community, provide resources, and advocate for LGBTQ family equity.